Go! Princess Precure is a Japanese magical girl anime series that is yet to have an English dub; I wanna change that. I have been wanting to dub one of the Pretty Cure series for a while now (not including Smile and Doki Doki! as they were ruined by Netflix and Saban). It was a tough choice between KiraKira and Go! Princess Precure, but Go! Pri stuck out more to me as it appealed more. I will be looking for dedicated voice actors, and also some people who know what they're doing to give advice to people. All people cast are required to have a Discord account so we can communicate and share information. The current deadline is set for April 26th, one monthfrom now. If I don't get the amount of people I need for the first few episodes, I'll extend the deadline another month. I won't be hiring until the deadline is over so people have time to audition without the dread of characters being taken. If you are cast for a role, then please email me or send me a Skype message and I'll give you a copy of the script. Each script will be on a Google Docs file and organised into a Go! 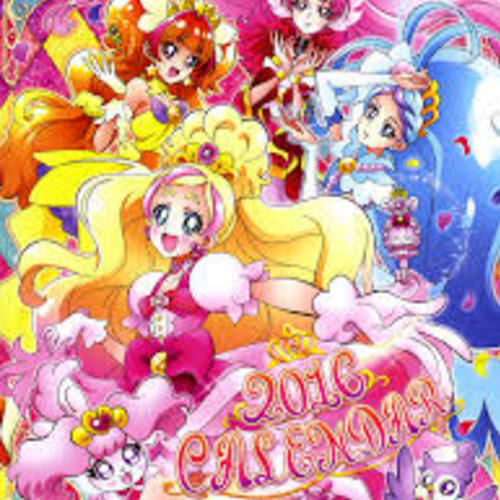 Princess Precure folder. There are around 50 episodes to dub. If you're cast in a minor role, you may also audition for some other minor roles to get more screentime. I will be dubbing the other Precures, so if your voice acting is good, you may be called back for another season. I will be taking the role of Amanogawa Kirara, hence why she is not on the roles page. Haruno Haruka is the main character of Go! Princess Pretty Cure. She is a 13-year-old girl who is energetic and dreams of becoming a princess. 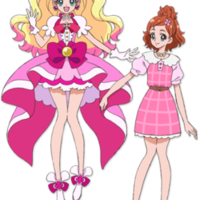 Haruka's alter ego is Cure Flora, the Princess of Flowers. Her catchphrases are "Too amazing!" and "______ is in full bloom!" 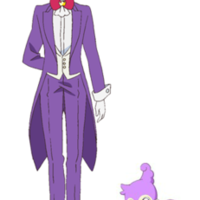 (Courtesy of Pretty Cure Wikia). My dream... is to become a princess! That violin solo, it's so beautiful. Just like Kanata. Kirara is so elegant, just like a princess! Kaido Minami is one of the main Cures in Go! Princess Pretty Cure. She is a 14 year old girl and has a strong sense of responsibility as well as caring for others like an older sister. 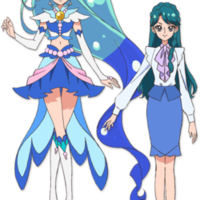 Minami's alter ego is Cure Mermaid, the Princess of the Sea. As the Princess of this academy, I must protect the students. Haruno, wait! You can't do this alone! Akagi Towa, also known as Princess Hope Delight Towa in her kingdom, is a young girl who appears to be a true princess. 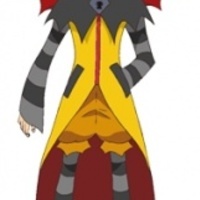 Originally, she used to be one of the antagonists in Go! Princess Pretty Cure known as Twilight. She was said to be the daughter of Dyspear and had the title "The Princess of Despair", but it was revealed that she was actually brainwashed and was not related to her at all. She later becomes Cure Scarlet. I am not Towa. I am Twilight, the princess of despair! My number one goal is to become a Grand Princess. 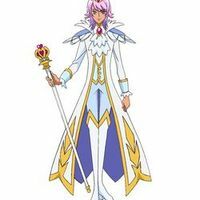 Prince Kanata is the prince of Hope Kingdom. 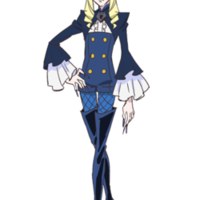 His full name is Prince Hope Grand Kanata. He stays behind to allow Haruka and her friends to escape Dyspear, but is not heard from since. At the end of episode 31, a boy resembling Kanata is seen looking into a lake then discovered by the girls that he has lost his memories. He has since regained his memories as a prince. Girls, get out of here now! Run! You will become a princess one day, Haruno Haruka. Aroma is one of the main fairies from the series Go! Princess Pretty Cure. He ends his sentences with "~roma" . You're the Princess Pretty Cure-roma?! Don't be so stupid, give that back-roma! Kirara has the Princess Perfume-roma?! Pafu is one of the main fairies from the series Go! Princess Pretty Cure. She ends her sentences with "~pafu". Pufu is not a dog! Pufu is a fairy from Hope Kingdom! Insert the key into the keyhole, Haruno! Shut is one of the commanders of Dys Dark. He, along with Close and Lock, form a group called the Three Musketeers. We do what we do for Lady Dyspear. Nanase Yui is a major character who appears in Go! Princess Pretty Cure. She is the roommate of Haruno Haruka and her dream is to be a children's book author. Ehe, well hello to you too. That's simple, I want to create children's books. I'll help you, Towa! Over here. Stupid parakeet. Always getting in our way. I hope you're prepared for defeat, Flora. No way... that girl is a Precure?! Kuroro is a calico cat fairy who resided in Hope Kingdom. Prior to the beginning of Go! 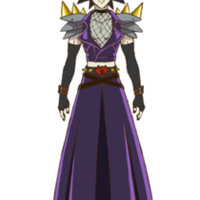 Princess Pretty Cure, he was brainwashed and became known as Lock. He ends his sentences with "~roro". I didn't know it was possible to fail worse than you did. Lady Dyspear is mad. My, what a job they did. I will end you once and for all, Precure! 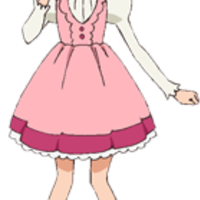 Ichijo Ranko is a minor character in Go! 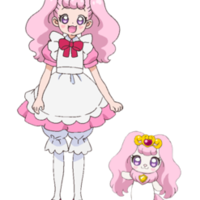 Princess Pretty Cure, a third year student at Noble Academy and is Kirara's spoiled rival. Ranko looks cute and innocent with the appearance of a sweet doll. But she can be anything but when not in the public eye or angry. 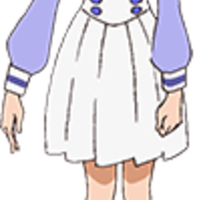 She is a sore loser who despises Kirara and shows a bitter rivalry with her. She is also full of herself. Amanogawa Kirara, how fitting that you'd be hanging in a dump like this, you trashbag.